This award is named after Sir Muhammad Zafrullah Khan who served as a Pakistani Diplomat, First Asian President of the International Court of Justice, President of the UN General Assembly, Pakistan’s first Foreign Minister, renowned international jurist and a member as well as scholar of the worldwide Ahmadiyya Muslim Community. 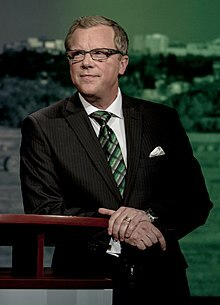 Retired Canadian Politician and the former Premier of the Province of Saskatchewan. Sir Muhammad Zafarullah Khan is undoubtedly the greatest international statesman from the Muslim world to date. From his fundamental role in the founding of Pakistan, to his widely respected advocacy for the rights of Muslims and sovereignty of states throughout the Muslim world, he was revered by diplomats the world over for his sincerity of purpose, mental acumen, and charismatic oratory. He began as a lawyer in the Punjab and soon rose quickly to prominence in public service. He sat on the British Viceroy's Executive Council from 1935 to 1941 and from 1941 to 1947 served as a Judge of the Federal Court of India. In 1939, he led the Indian delegation to the League of Nations. He was one of the Founding Fathers of Pakistan and is known for drafting the Pakistan Resolution, being the first Foreign Minister of Pakistan, and for his tenure as the representative of Pakistan at the U.N. , during which he earned global regard from many world leaders for his articulate and genuine representation of Pakistan and several other countries including, Libya, Northern Ireland, Eritrea, Somalia, Sudan, Tunisia, Morocco, and Indonesia. His career as an international statesman reached its apex when he was elected as the President of the U.N. General Assembly, the pinnacle of international governance and diplomacy, from 1962 to 1964. From 1970 to 1973, he also had the august privilege of serving as the Chief Judge and President of the International Court of Justice at The Hague. But not only was he a uniquely distinguished international diplomat, he was a man of great religious inclination, renowned for the sincerity of his convictions. A devout Ahmadi Muslim, he took distinct pride in having entered the Ahmadiyya Muslim Community as a young child at the hands of Hazrat Mirza Ghulam Ahmad, the founder of the community himself. All his life he maintained a very close relationship of deep reverence and deference to the Khalifa of the community and always attributed his incredible success to this deep connection with the Caliphate of the Ahmadiyya Muslim Community. He was an accomplished scholar of the Ahmadiyya Muslim Community, having translated the Holy Qur’an into English and authored several books on Islam and contemporary society, including “Islam for the Modern Man”. Despite attaining immense success and wealth during his career, he was noted for living a life of piety and simplicity. Another celebrated Ahmadi Muslim, Nobel Laureate Dr. Abdul Salam writes that after retirement, Sir Zafrullah Khan dedicated all his life savings for charitable purposes. His achievements as an international statesman are of the highest order and were always – to the universal admiration of those who knew him – coloured by his moral convictions and sincere dedication to serving mankind. The Sir Zafarullah Khan Award, is thus awarded to the person who exemplifies the qualities of sincere dedication to the service of society and for the greater good of mankind in large.